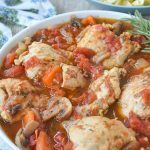 Chicken Cacciatore is delicious comfort food that can be made easily in one pot! 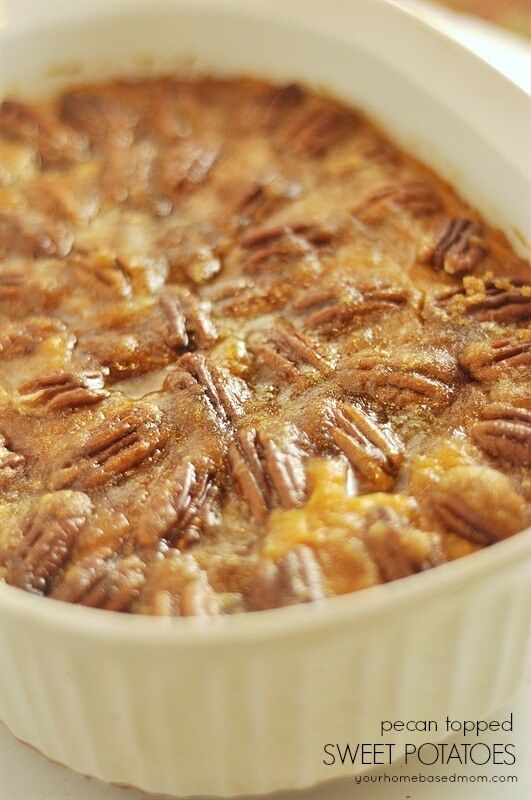 Perfect for weeknight meal planning. See below for details on my new weekly meal plan. Instagram and Facebook are full of first day of school photos. It makes me a little sentimental. I miss those days. Shopping for the first day of school outfit and new school supplies is the best. This year I did take my teacher daughter shopping for a first day of school outfit for her. I was tempted to buy a new box of crayons too but then the box I bought last year is still unopened in my cupboard. I guess I need to color more! Even with no one going back to school at our house anymore, this time of year always puts me in the mood for more structure, organization and meal planning! Knowing what’s for dinner every night is the best feeling, even for us empty nesters. Several years ago I use to do a weekly meal plan here on the blog and I’ve had lots of requests to do it again so, starting next week, I will be offering a weekly meal plan. The weekly meal plan will be delivered right to your mailbox through my newsletter. If you are already signed up for my newsletter you don’t have to do anything except for watch for the email (check to see if it is ending up in your Spam or Promotions file if you’re not seeing it.) and then open it once it shows up in your inbox. 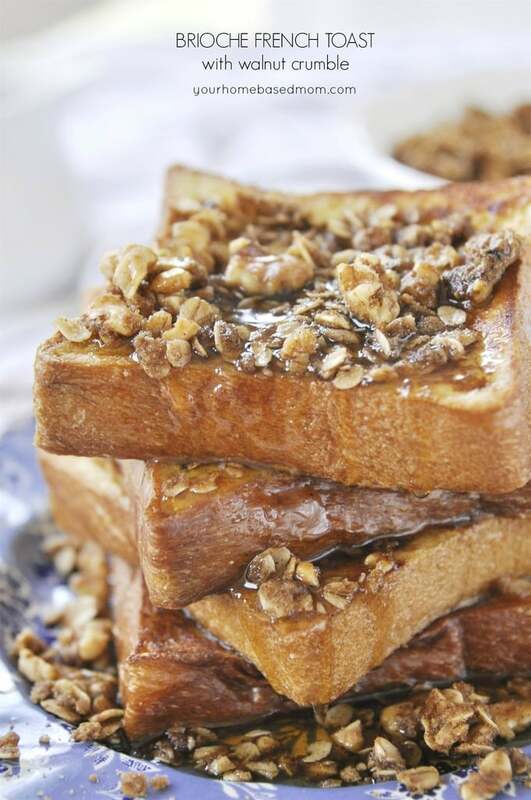 I’ll be providing you with a week’s worth of meal ideas each week. Watch the blog later in the week for more details but in the mean time be sure and sign up for my newsletter! For now, if you aren’t signed up for my newsletter, scroll down to the bottom of this post and sign up to receive it. 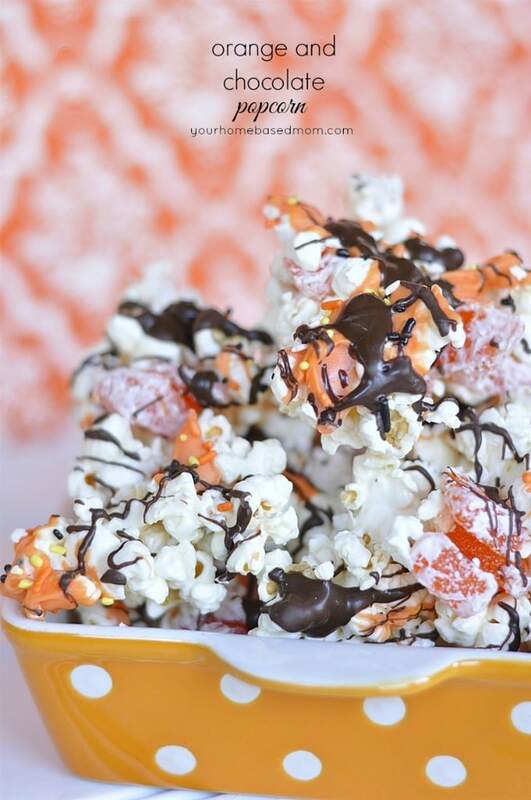 In addition to the weekly meal plan you’ll receive a free copy of my Top Ten Recipes E-book. 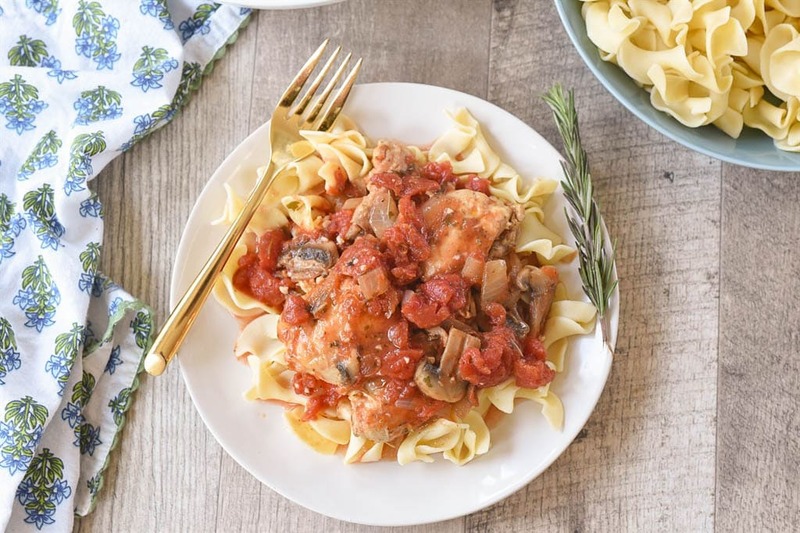 Now back to this Chicken Cacciatore. The beginning of school also puts me in the mood for some good comfort food. 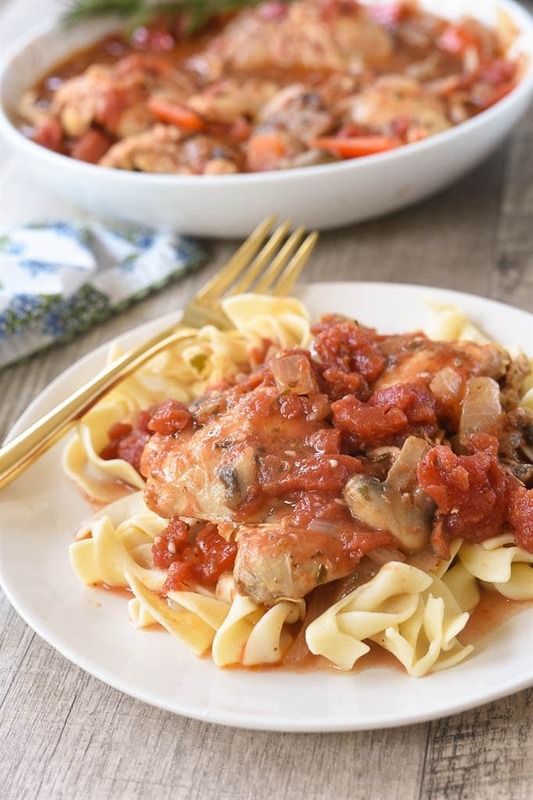 Chicken Cacciatore definitely falls in the category of comfort food. The deep, rich flavors and the fact that it is served over nice wide egg noodles puts it near the top of the list! 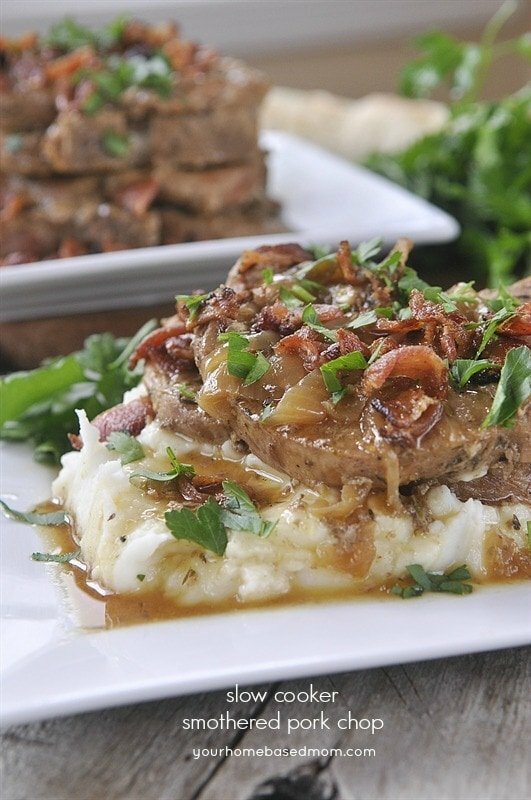 It is made with boneless, skinless chicken thighs. 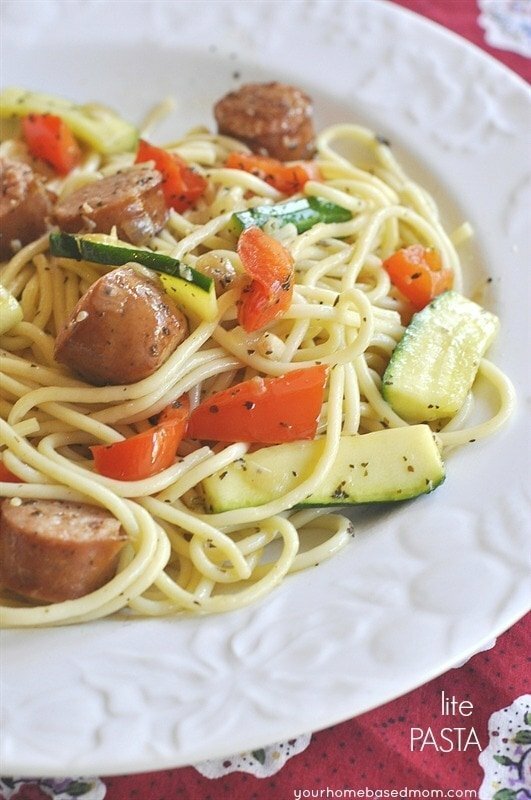 I love to serve it over wide egg noodles so there is plenty of surface to soak up the yummy juices you will get. 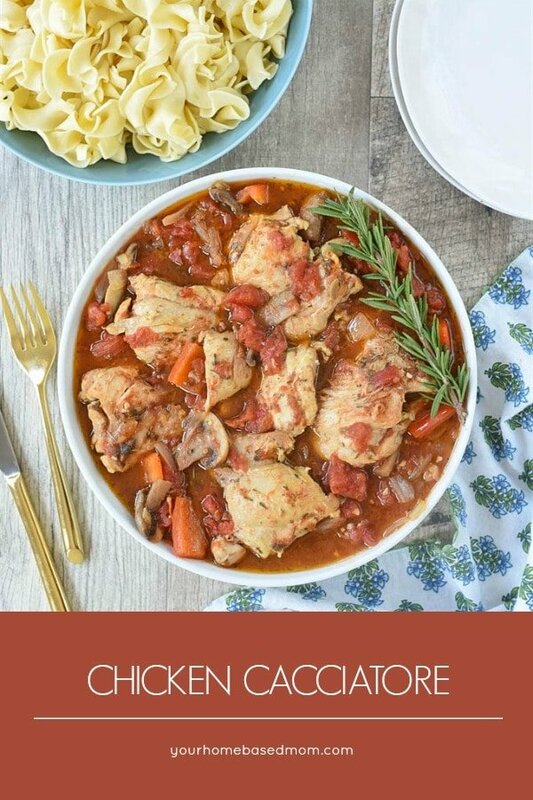 Each week on the meal plan there will be at least one yummy comfort food recipe so be sure you are signed up! 7 ¼ qt CAST IRON PAN – this baby is a beauty and has so many uses in the kitchen. Too many to name! 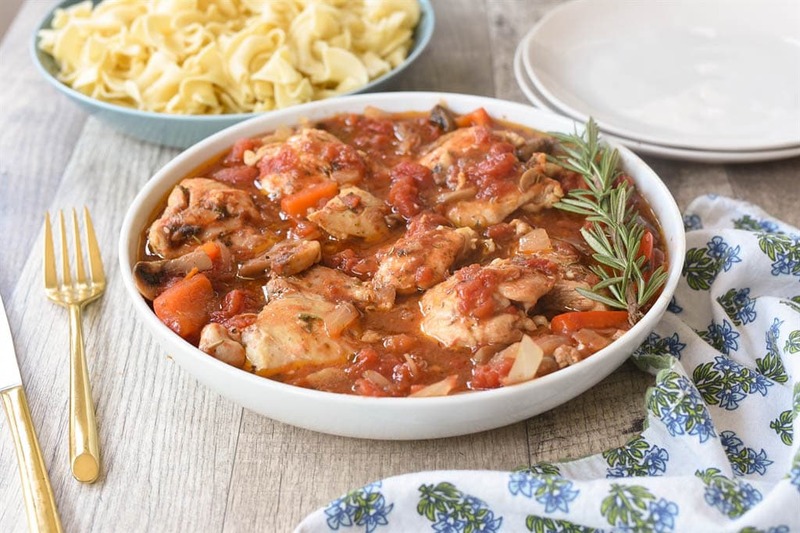 Chicken Caccitore is delicious comfort food that can be made easily in one pot! 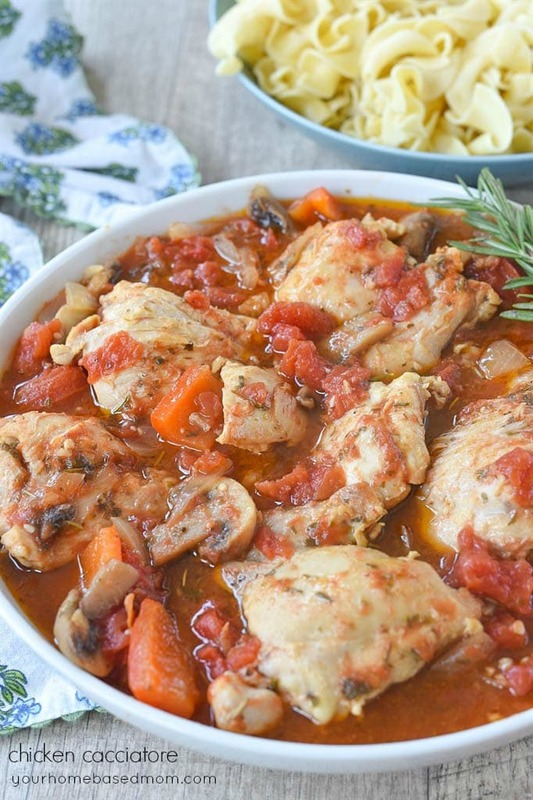 Perfect for weeknight meal planning. Heat olive oil in large cast iron pan. Brown the chicken in hot oil, about 5 minutes per side. Set the chicken aside. Add onions and mushrooms into the skillet and stir until softened, about 5-7 minutes. Mix in garlic, cook for 1-2 minutes. Cover and bring to a boil and reduce heat. 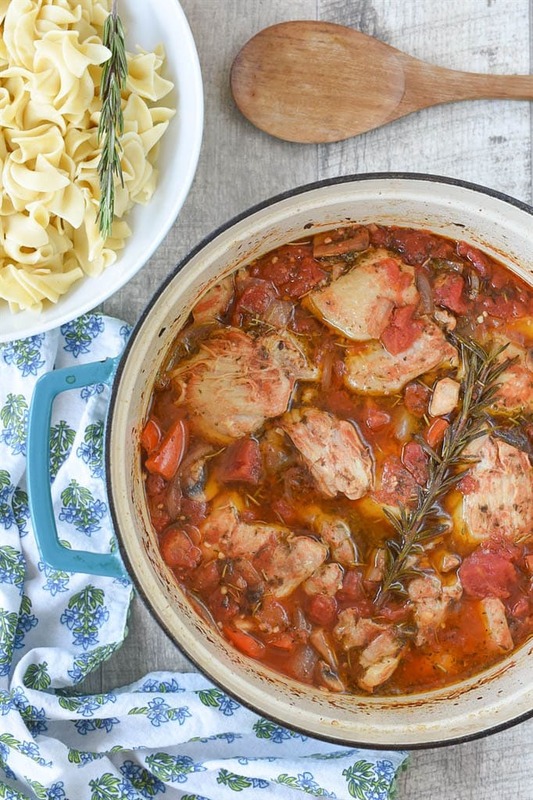 Simmer until chicken is cooked through and tender. About 45 minutes.